Find bid opportunities quickly and easily in the Virtual Plan Room Network (VPRN). No two contractors are the same or need the same information. We have services to meet everyone’s needs. Whether you need continuous access to bidding information or details about one project, we have a service level that fits your needs. Save time and money by letting us do the hard work for you. We provide hundreds of bid opportunities in our user-friendly virtual planroom. 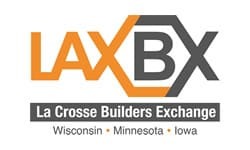 Our projects are located in the La Crosse area, the entire state of Wisconsin, Iowa and Minnesota. We work to serve our members, offer in-person assistance and are always ready to help you with any project. Complete the application below and mail to 709 Gillette Street, Suite 2, La Crosse, WI 54603. Payment must accompany application.